This 14-day China Hiking & Biking Tour Combo from Beijing to Hong Kong will give you a great experience of outdoor fun. 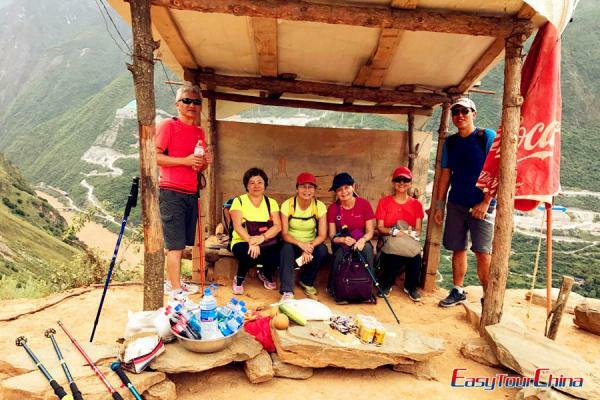 You will trekking Beijing Jinshanling Great Wall, biking on Xian old city wall, cycling in rural Guilin countryside, etc., and enjoy the beauty of China from north to south. Arrive at Beijing and our tour guide will meet you at the airport and then transfer to hotel by private car. Rest of the day is free at leisure to acclimatize the jet lag. Full day city sightseeing by foot and bike. Take metro to Tiananmen Square after breakfast and view the world largest city square. You may have chance to visit the Memoria Hall of Chairman Mao. And then, cross Tian'an Gate, enter the Forbidden City for a two hours visit of the imperial palace during Ming and Qing Dynasty. A section of the wall at Donghua Gate has opened and from them you can view the palace from a high point. 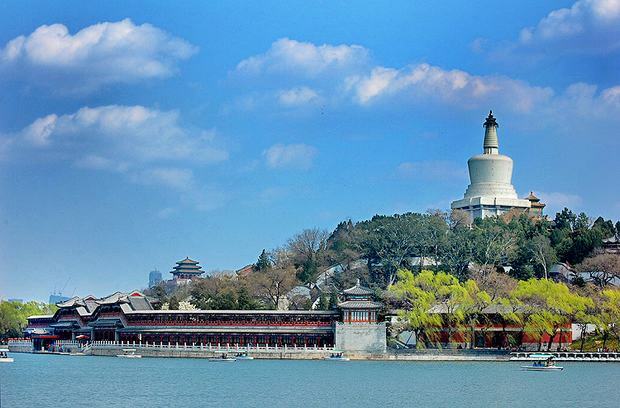 Walk out from north exit, you will climb up Jingshan Hill (Coal Hill) to take a bird view of the whole palace and center area of Beijing city. Walk across Beihai Park and get to Houhai area for lunch. 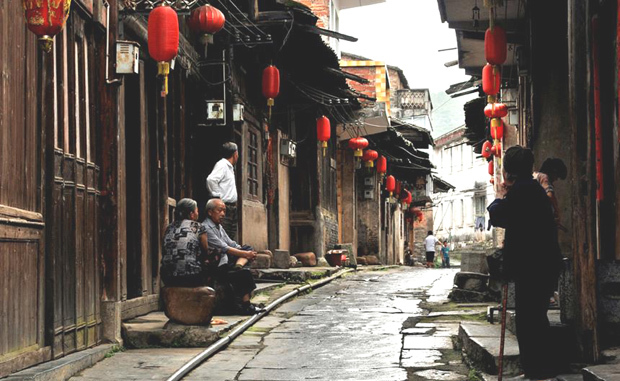 This afternoon you will have a biking tour in the Hutongs for around 2hrs. Take metro back to hotel after the trip. Walking on the wild section of the Great Wall is one of the most exciting activities in China. 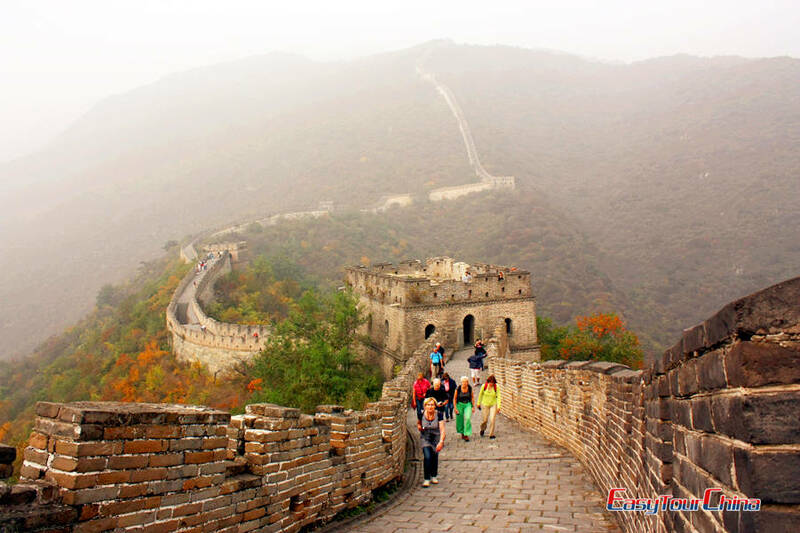 Today you will walk the classic section of Jinshanling Great Wall. Drive 2 hours to Jinshanling and start the walking from restored section and then head to east to the wild walls. It takes around 4 hours and some parts are very steep. At East Five Hole Tower, you will descend by steps to meet your car and transfer to the foot of Jiankou Great Wall. Overnight in guest house with private washroom. Jiankou Great Wall is famous for its steepness. We will adjust the difficulties according to your physical condition. The walk from Jiankou to Mutianyu takes about 4.5hrs. Before the No. 23 Tower of Mutianyu Great Wall, the walk is on wild walls. Descend to meet your car and drive to hotel in Beijing. Check out after breakfast and then go to visit the Temple of Heaven, an imperial complex of religious buildings situated in the southeastern part of central Beijing. The complex was visited by the Emperors of the Ming and Qing dynasties for annual ceremonies of prayer to Heaven for good harvest. It is now a park that local people go for different activities, like Taichi, Singing & dancing, chess playing, etc. If time permits, go to Panjiayuan Flea & Antique Market for a free shopping. After lunch in local restaurant, transfer to train station for high speed train to Xian. 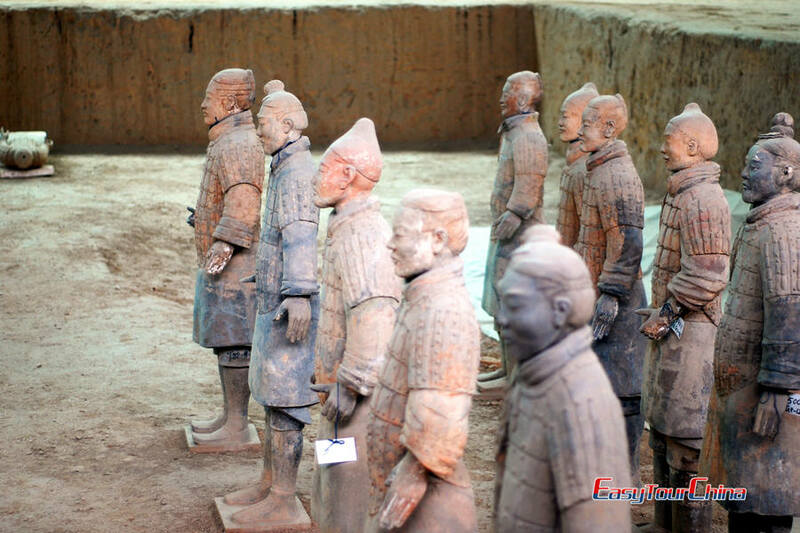 Visit the most famous Terracotta Warriors and Horsed Museum this morning. It is known as the eighth wonder of the world and a museum to display terra-cotta warriors and horses in Tang Dynasty. Back to down town in the afternoon and visit Grand Mosque located at the heart of ancient city of Xian and next to the Drum Tower. It is the hub of the Moslem community in Xian City, and offers a variety of local flavor snacks. Take a biking tour on the Ancient City Wall at sunset time. Take morning flight to Guilin. 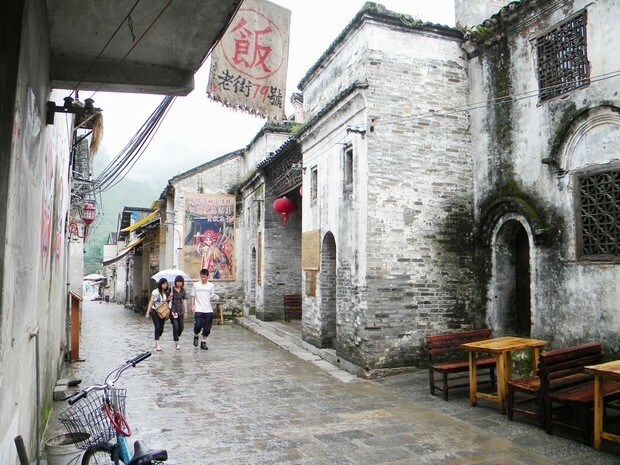 Upon arrival, transfer to Longji scenic area 80km from downtown. From car park, walk 30min to Ping'an Zhuang Minority Village at top of the mountain. 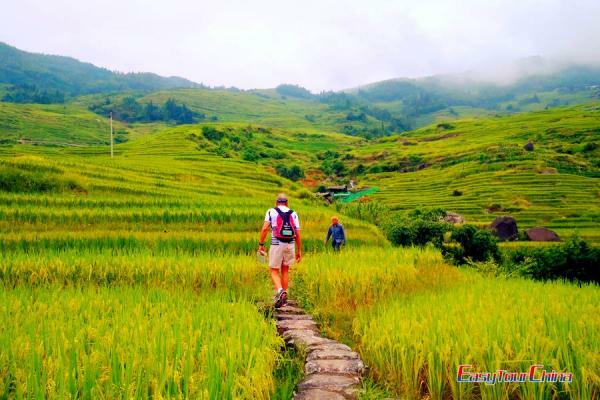 Afternoon walking tour to ancient Zhuang Village (one way 4km) via small path between rice terraces. Visit No. 2 sightseeing point to view sunset at the rice terraces (weather permitting). Overnight in guesthouse in the village. Walking tour from Ping'an Village to Dazhai today. Starting from No. 1 sightseeing point to view sunrise in the morning, and then walk 12km and takes about 4hrs to Dazhai Village. Altitude changes between 450m and 1150m. Meet your car and drive to Guilin city in the afternoon. Biking tour along the Huajiang River in Guilin countryside and discover an idyllic pastoral scene in rural China. This biking trip can be adjusted from 30km to 60km according to your physical condition. You will visit Daxu Ancient Town after the riding. Pick up from hotel after breakfast and transfer to pier for Li River Cruise to Yangshuo. 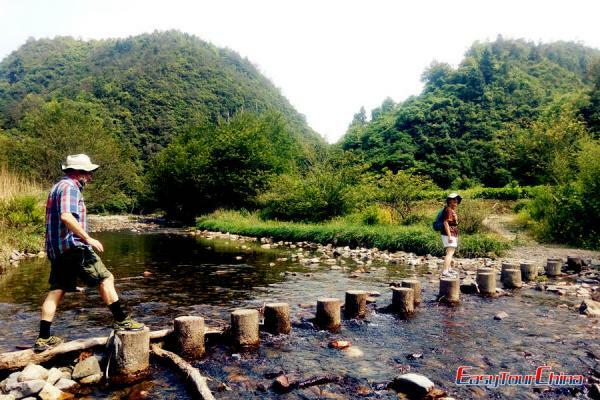 Enjoy stunning Karst landscapes, villages and bamboo along the River. The cruise is about 4hrs with lunch on board. Disembark at around 1.30pm and go for a biking tour in the countryside in the afternoon. Hiking tour from Fuli to Xingping today. It is around 15km among Karst hills. You will pass rice fields, orchards, villages and reservoirs. In the afternoon, visit Fuli Market before transferring back to hotel. Free at leisure in the morning. Take afternoon flight to Hong Kong. If flight not available, take high speed train to Shenzhen and transfer to Hong Kong by private car. Full day hiking tour of Dragon's Back. With beautiful coastal scenery the Dragon's Back trail provides stunning views of Shek O, Tai Long Wan, Stanley, Tai Tam and the South China Sea. Free at leisure for your own exploration in Hong Kong. Public transports are well developed here and you can easily take metro, Ding Ding bus and star ferry to noted sites of Victoria Peak, Central business district, Avenue of Star or Flower & Bird Market. Transfer to airport for your departure flight.